Mix melted butter and garlic. Open and unroll crescent rolls. Brush above mixture on crescent rolls. Sprinkle Mac Yourself ™ cheddar cheese powder on rolls evenly. Roll crescent rolls. 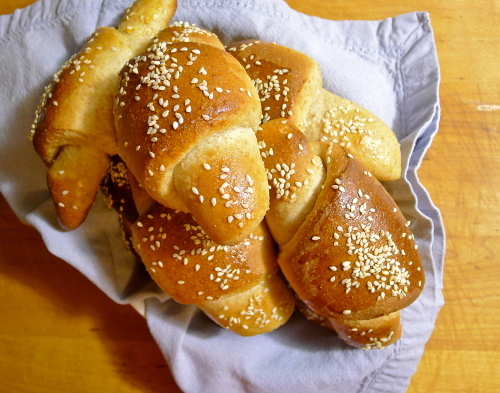 Brush crescent rolls with egg and sprinkle with sesame seeds and parmesan cheese.